Huawei has a new 360 camera accessory for its smartphones. If it looks similar to the Insta360 Air, that’s because it was developed in partnership with Insta360! – uses an Insta360 app (looks the same as the Air app). 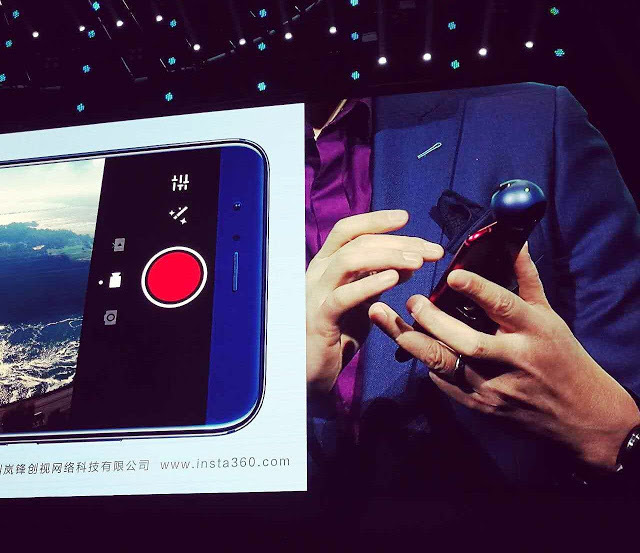 Although Huawei hasn’t announced the Honor VR’s video resolution, I would bet it would have the same video resolution as the Insta360 Air, which is 2560 x 1280 on typical phones, but 3008 x 1504 on high-end phones. Speaking of high-end phones for the Insta360 Air, Insta360 said the Huawei P9 is one of the smartphones that can enable the Insta360 Air to capture its full 3008 x 1504 video resolution. I am guessing that this will also be true for the Honor VR — 3k on the P9, 2.5k on their lower end phones. 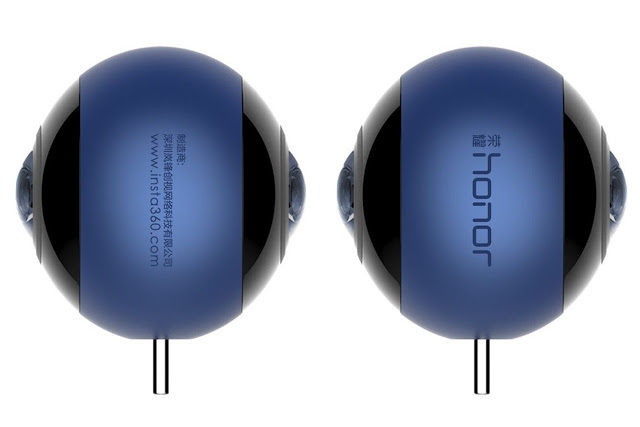 The Honor VR will be fully revealed at Mobile World Congress (February 27 to March 2). Thank you very much to Jim Jensen (moderator of the Google+ Photo Sphere community) for bringing this to my attention!